Anyway the reason for this post is I joined a book group on Facebook called We love books 🙂 and the lovely Kelly organised a book swap for Valentines. As my birthday is next week my post is usually hidden, but today I proved this wasn’t for my birthday. I am so grateful to my book valentine… I have had a crazy time at work just recently so haven’t read much but hoping to get a little in tonight as there’s some book releases imminent. 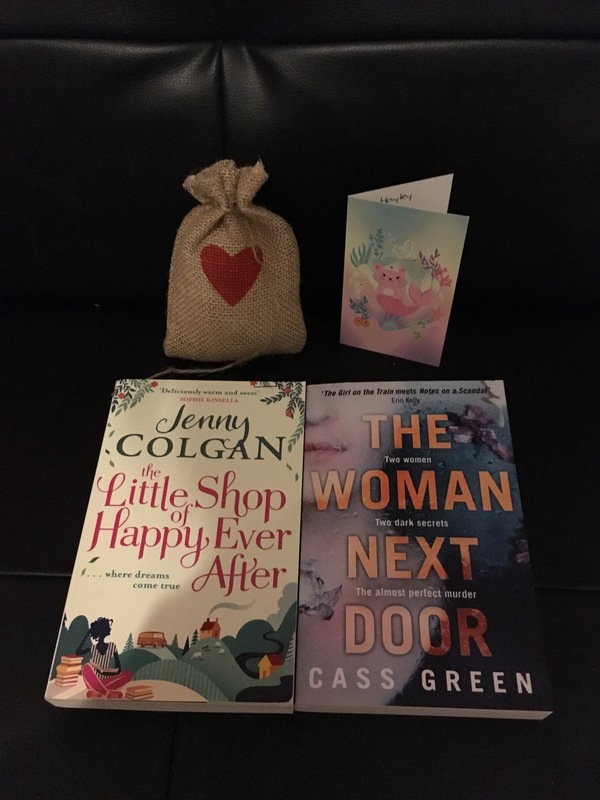 I adore Jenny Colgan and I’m a little behind on some of her reads when I have caught up a bit Jenny will be my next what shall I read. And The Woman Next Door I have been intrigued by from Twitter. Did you participate in this book swap or another if so did you Valentine do good? Do tell?